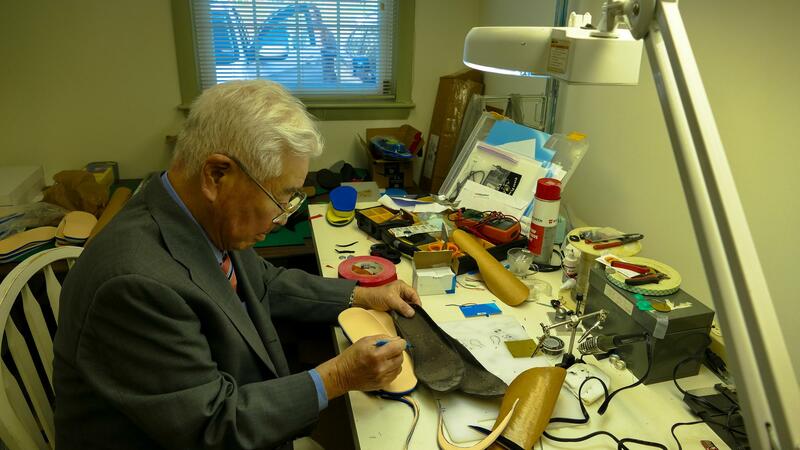 Sam Asano working on his latest invention. Look closely, and you can see the wired connector sticking out of Asano's fall detection insoles. Sometimes the experimental Japanese Zeroes crashed. Asano would find the wreckage and sit inside the cockpit. It seemed impossible to the 10 year old that a country that made such a bad airplane could ever defeat a country that made the beautiful Zero. In this country, he discovered, everything was yes - often when it was absolutely no. “I learnt a lot by that sort of infinitely optimistic approach,” the inventor says. After graduating from MIT, Sam Asano took a job working on a project for NASA that would later become the Hubble Telescope. 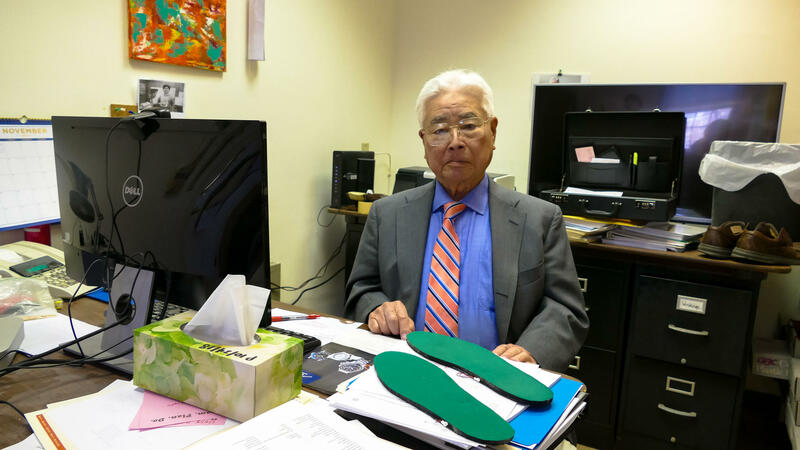 But it was while designing an x-ray sensitive camera for the nose cone of the rocket that Asano encountered his next problem – and his first invention. But Sam Asano is not without hope. He is still singing, he says. And he’d be happy to teach you the song. We're talking with the author of a new book on the unlikely ways in which inventors think up groundbreaking ideas. Necessity isn't always the mother of invention: some of our most important ideas arise out of moments of playful exploration. We talk with Steven Johnson, the author of a new book called "Wonderland," who contends delight and wonder have had a disproportionate impact on our history and point the way to future innovation. Sometimes it's the most basic of technologies that stand the test of time. Take the simple screw. It’s a bit of metal with threads spiraling down a shaft, and yet it holds together most of the products and tools we use every day. But one New Hampshire inventor is challenging that time-honored design. David Brooks, a reporter for the Concord Monitor and writer at GraniteGeek.org, spoke with NHPR's Peter Biello.